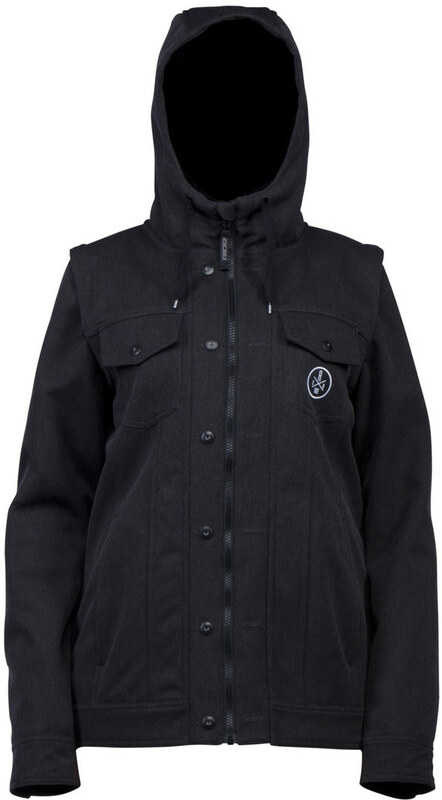 The Strata HD 10K waterproof rated Haller bonded jacket snowboard jacket is equipped with Aquapel durable water repellent technology that will repel water wash after wash. 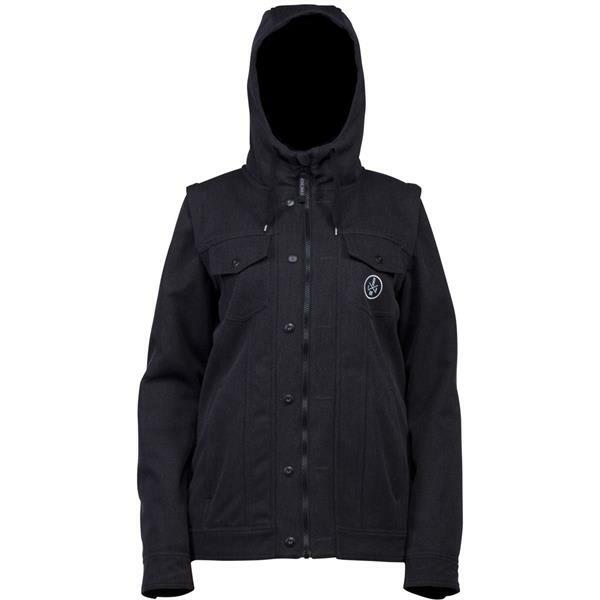 Designed with zip off sleeves, work-wear style fabric bonded to 100% polyester fleece, and media headphone guide, this street-inspired lightweight jacket will keep you lookin fresh on hill and off. 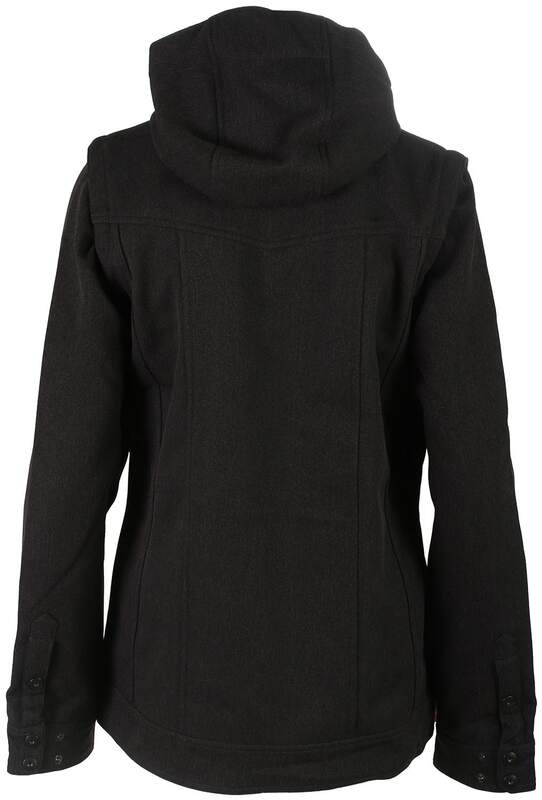 Like that the sleeves detach. The price is great for the quality.